The new Cormidi is a multi-functional machine that includes a basket, crain and working platform all in one unit. The platform can operate up to 73.2 ft in height, and the crane is capable of lifting 2,194 lbs at a maximum height of 63.2 ft. 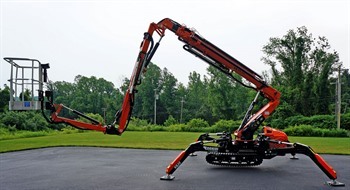 The innovative design of the boom features three hydraulic articulating joints which emulate the movement of a human arm, and is so flexible it manuevers in reverse. 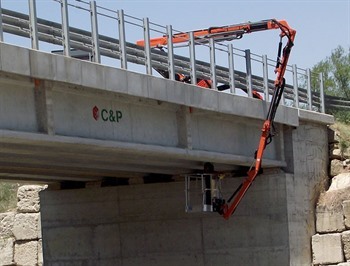 With a generous 37.7 ft side reach and hydraulic searcher hook, the Cormidi can easily lift over rooftops to a height of 49.2 ft. With these specifications, the Cormidi is the ideal option for underbridge access and bridge inspection. MSS Management Safety System - Powerful system design to control all functions of the machine. EMS Engine Management System - System for the automatic control of the engine. SSF Stabilizing System Function - To stabilize and destabilize the machine fully and automatically. 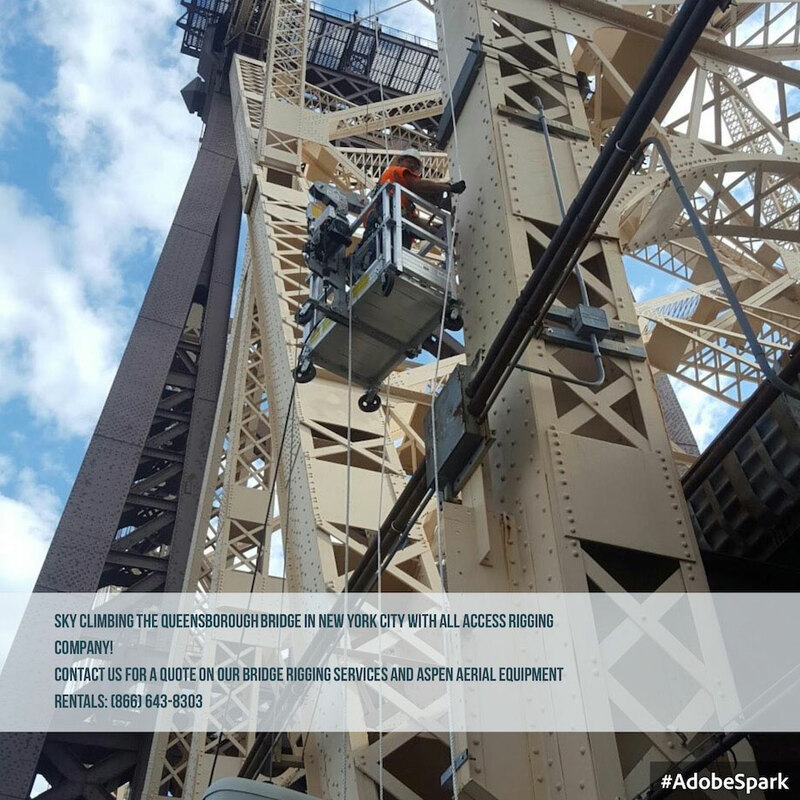 This elaborate stabilization makes the Cormidi an excellent choice for bridge inspection equipment. AIESS: Auto Revolution Engine - The system manages the thermal motor functions, setting the motor to idle after each manoeuvre and turning it off when it is not used for more than 2 minutes. The motor restarts at the touch of a button. This system helps reduce fuel consumption and environmental emissions. MIS Management Information - System Reliable feedback system for continuous communication with the machine’s functions. HSB High Speed Boom - Designed to increase the speed and movement of the arm. OAFR - Output Auxiliary Flow Rate. Hydraulic output 36 lt/min (8.17 gal) to power a range of hydraulic tools. IPSone Information Position GPS and Diagnostic Service - System for monitoring and remote management of the machine. TCS Travel Straight Control - This system enables straight and precise control of the crane when loading or offloading onto transport vehicles in a safe fashion. 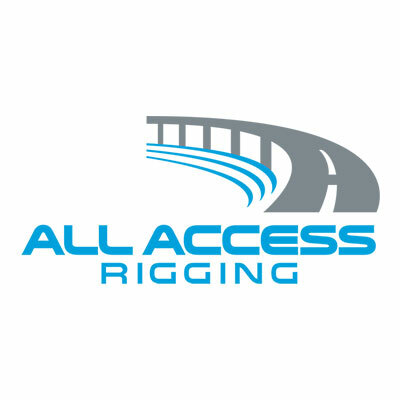 With the safety and precision of the Cormidi, All Access Rigging has continually been ranked one of the best bridge repair companies in the country. For specifications and to learn more about the Cormidi machine, check out this PDF. We are proud to be affiliated with our dealer, CormidiUsa.